Ignite your creativity and awaken your artistic self-expression in our inspiring art retreats and workshops in New York City. 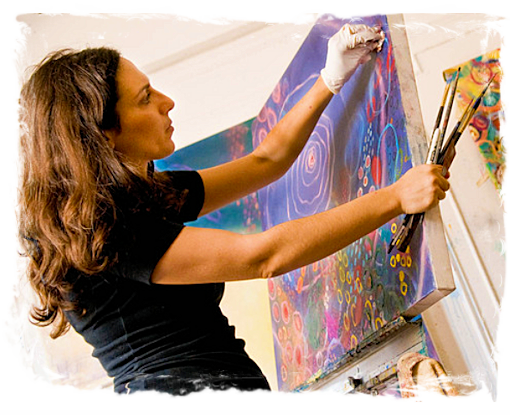 Nurture your inner artist with Manhattan’s #1-rated art studio for all ages and skills. All levels are included from beginners to experts in our popular daylong creative retreats and art workshops in NYC! In our unique, hands-on art workshops in New York, you will enjoy focused time to yourself as you explore your creative curiosity, master new artistic techniques, deepen your passion for art, and discover your unique and expressive artistic voice. With a professional New York City artist as your guide and art instructor, you will receive both group and 1-on-1 customized art instruction while you relax, let your worries drift away, and feel supported in an encouraging art workshop tailored to your needs and interests. Join in a creativity workshop in New York and unleash your inner-artist! With a paintbrush in hand, spend a full day learning, exploring and mastering inspiring acrylic painting techniques while tapping into your authentic self-expression. 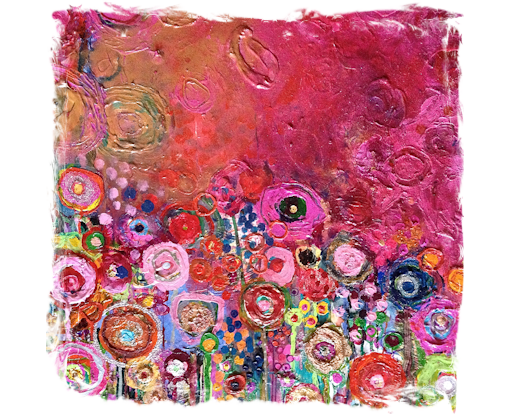 Deepen your joy and discover your artistic voice through this personally guided painting workshop that will ignite your creativity and make you feel alive. In this painting workshop for artists of all levels (beginners through advanced levels welcome! ), you will receive step-by-step, encouraging art instruction by a professional New York City artist, and both group and individualized one-on-one instruction will be provided. 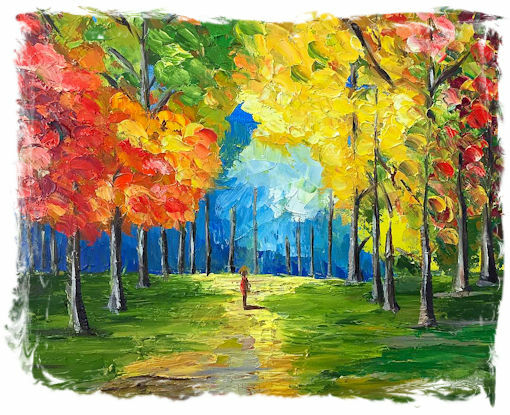 Deepen your understanding of painting in this acrylic painting experience that will leave you feeling relaxed, inspired, and able to express yourself through painting on canvas. Walk away at the end of your painting workshop the very same day with a finished masterpiece to hang in your home. You don't want to miss this inspiring and motivating half-day painting retreat, limited spots available! Feel inspired in this Oil Painting Workshop! Oil painting is sumptuous, exciting, and expressive, and it is one of the most popular mediums used by painting artists throughout the world. This Painting Workshop is a perfect fit for you to learn the foundation of oil painting techniques, explore authentic self-expression, and create your own painting on canvas. Learn how to draw in just one day, in this inspiring beginner's drawing workshop! Drawing is easier than you think and we will teach you all of the drawing techniques, tricks, and tools that you need to know. If you hear yourself saying, “but I can’t even draw a straight line,” or “I don’t have a creative bone in my body,” it’s time to think again! In this hands-on, step-by-step, beginner's drawing workshop, you will feel supported as you learn to express yourself through the art of drawing. This drawing workshop is perfect for total beginners or for those who are eager to jump back into drawing after a long hiatus. Feel relaxed and creatively encouraged in this non-judgmental and FUN drawing workshop! Learn how to draw the human figure in just one day, in this inspiring beginner's figure drawing workshop! The human figure has been an inspiring muse for artists, for hundreds of years and we will teach you all of the drawing techniques, tricks, and tools that you need to know. Drawing is easier than you think! If you hear yourself saying, “but I can’t even draw a straight line,” or “I don’t have a creative bone in my body,” it’s time to think again! In this hands-on, step-by-step, beginner's figure drawing workshop, you will feel supported as you learn to express yourself through the art of drawing. This figure drawing workshop is perfect for total beginners or for those who are eager to jump back into figure drawing after a long hiatus. Feel relaxed and creatively encouraged in this non-judgmental and FUN drawing workshop! 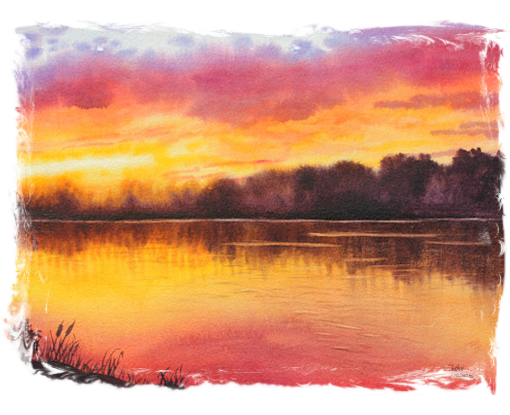 Explore the colorful world of watercolor painting with a paintbrush in hand! Relax and enjoy a full day learning art, experimenting, and mastering watercolor painting techniques while tapping into your authentic self-expression. Discover your artistic voice with this painting workshop for artists of all levels. Total beginners through advanced levels are welcome! You will receive step-by-step, encouraging art instruction from a professional New York City artist as you experience a gentle introduction to the wide range of amazing watercolor brushstrokes, including painting techniques such as dry, wet, splatter, bleed, texture, layering, color use, transparency, and more. Both group and individualized, one-on-one instruction will be provided. Deepen your understanding of watercolors in this painting workshop that will have you feeling relaxed, inspired, and able to express yourself through painting with the inspiring colors and techniques of watercolors. Walk away at the end of your painting workshop the very same day with a finished masterpiece to hang in your home. You don't want to miss this inspiring and motivating Upper West Side painting workshop, limited spots available! 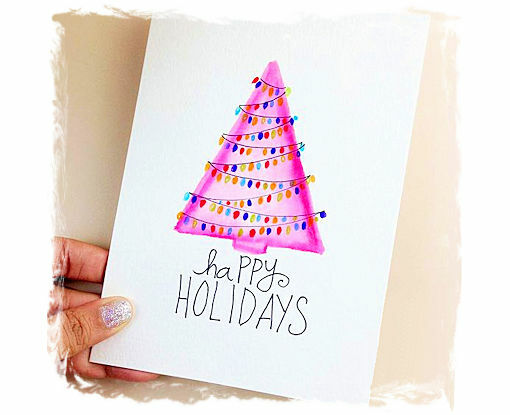 Tis the season... to create your very own creative and beautiful holiday cards! Join NYC’s #1-rated art school, The Art Studio NY, and unleash your creativity through holiday card painting and crafting! Discover your inner-artist as you relax, feel inspired, and have fun in this not-to-be-missed Holiday Card Making Workshop! 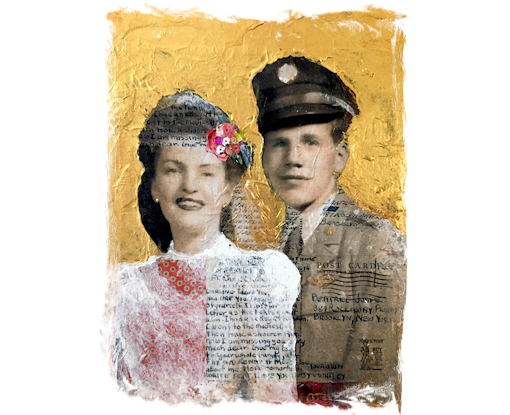 Learn a variety of artistic techniques, including watercolor painting, color mixing, and drawing techniques so you can create hand painted, personalized, handmade cards for the people you love most. Enjoy demonstrations and step-by-step holiday card making instruction and design inspiration by your expert art instructor who will guide you every step of the way. Whether you are a total beginner or a seasoned artist, enjoy this opportunity to make your mark and express yourself this holiday season! With a paintbrush in hand, spend a full day learning, exploring, and mastering inspiring painting techniques, while tapping into your authentic self-expression. Deepen your joy and discover your artistic voice through our personally guided painting workshop in NYC that will ignite your creativity and make you feel alive. In this painting workshop for artists of all levels (beginners through advanced levels are welcome! 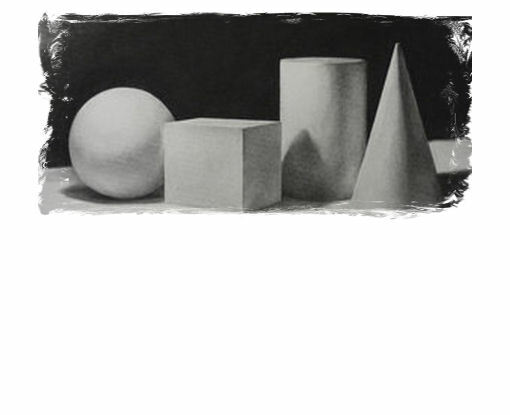 ), you will receive step-by-step, encouraging art instruction by a professional New York City artist. Both group and individualized one-on-one instruction will be provided. Relax and renew your creativity in this creative retreat that will unleash your inner-artist! Deepen your understanding of self-expression through painting while learning a variety of painting techniques in this painting workshop that will leave you feeling relaxed, inspired, and able to express yourself through painting on canvas. 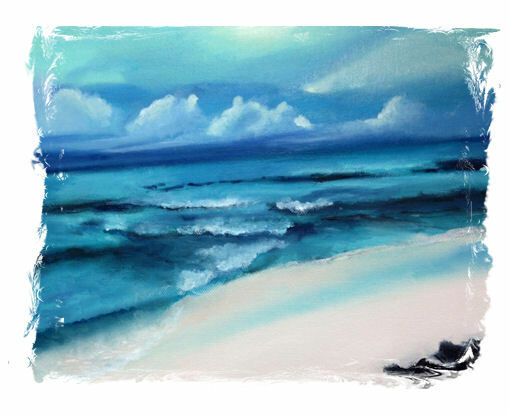 Walk away at the end of your painting workshop the very same day with a finished masterpiece to hang in your home. 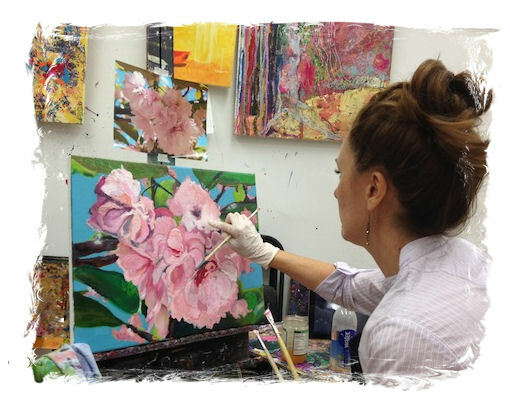 You don't want to miss this inspiring and motivating painting class. Reserve now, as limited spots are available!